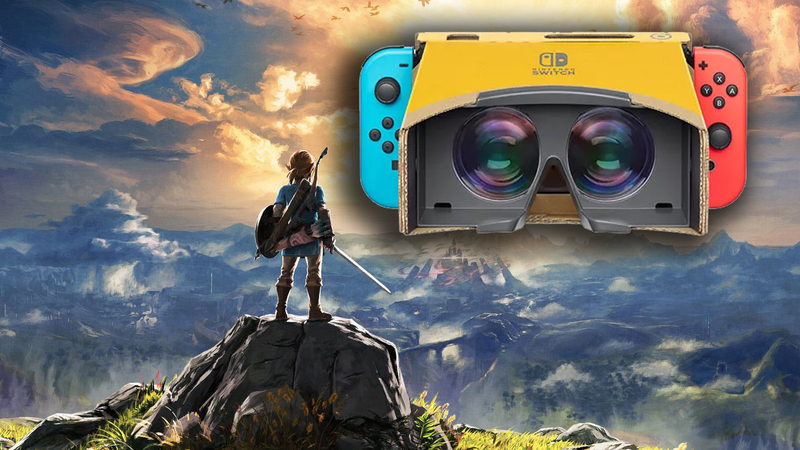 Home Gaming Nintendo Labo Will Have VR Breath Of The Wild & Mario Too! Nintendo Labo Will Have VR Breath Of The Wild & Mario Too! Nintendo is finally jumping in the VR game and is coming out swinging too! They’re coming out with a VR Labo, and the reasonings for this is pretty simple. The first one is Nintendo loves to get our money, and number two they want to make VR a little more accessible to families at a lower price. Compared to the PS4 VR or Oculus. For Super Mario Odyssey it seems like they will have a “Bite-Sized” version of the game, with three different mini missions. As for Breath Of The Wild it will have a little bit more to offer. It seems like all you’ll need to do is enable it in the settings. The VR set will come with a few games of it own as well. One of them will allow you to build a rocket launcher and even a windmill. The VR update for both Mario and Zelda will come out this month April 25th 2019 for free of course. The actual VR kit will be available to buy on the 12th of this month and will cost $79.99 USD. They will also have a starter kit with the VR goggles and a blaster for $39.99 USD. The Highest Grossing Film of 2019 That You NEED To See Now!